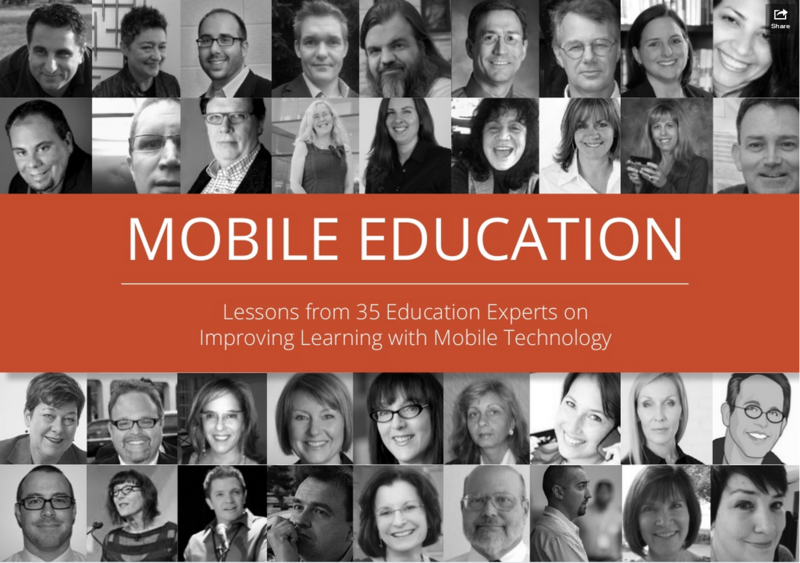 Mobile Education – Lessons from 35 Education Experts on Improving Learning with Mobile Technology from Studio B Productions, Inc.
What emerged from their responses was a surprise. Taken individually, the essays provide a rich variety of perspectives demonstrating the use of mobile and online technology in and out of the classroom. Each essay provides insights on how educators can get the most out of the content, tools, and networks available to them. However, if you take a step back and view the essays in the eBook as a whole, an important and surprising theme emerges. Simply put, the experts are telling us that the entire educational system is at a tipping point. Within a few years, professors, teachers, and campuses won’t be at the center of learning. Instead, rapid advances in mobile and online tools, social networks, and content are putting students in that position. There are some great ideas in this ebook to inspire educators. I highly suggest downloading the PDF file from SlideShare. If you do not have a SlideShare account (required for download) please email me directly.